I know, it has been FOREVER. I've been really busy at work and we've had a lot of visitors in October. Both mine and Mr. KMW's coworkers have questioned if we're running a bed and breakfast on the side, we're not...we just love having our friends and family visit. 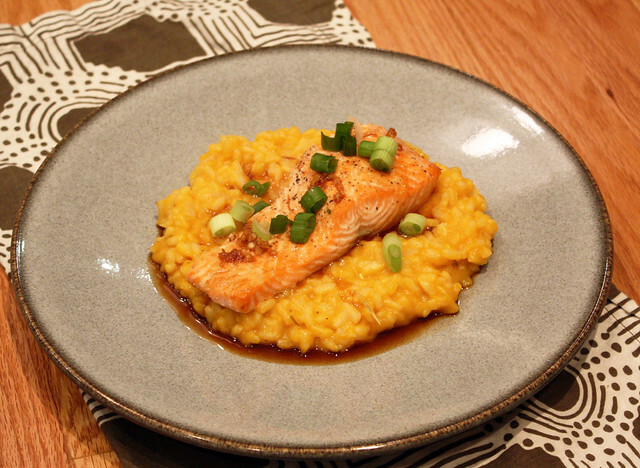 I'm going to make it up to you by posting a very yummy recipe....Creamy Butternut Squash Risotto with a flavor filled Maple Soy Glazed Salmon on top. Fall deliciousness. Before I get to the food here's a little more detail of what we've been up to the past few weeks. 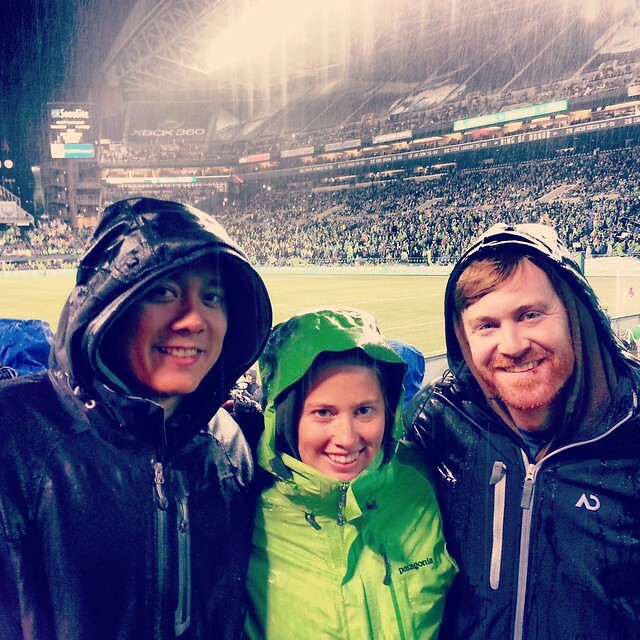 My cousin from Missouri made a pit stop in Seattle as part of a longer trip, and we spent a rainy night watching the Sounders soccer game. Sounders games have such a fun atmosphere, we often try to fit a game in when visitors are in town. 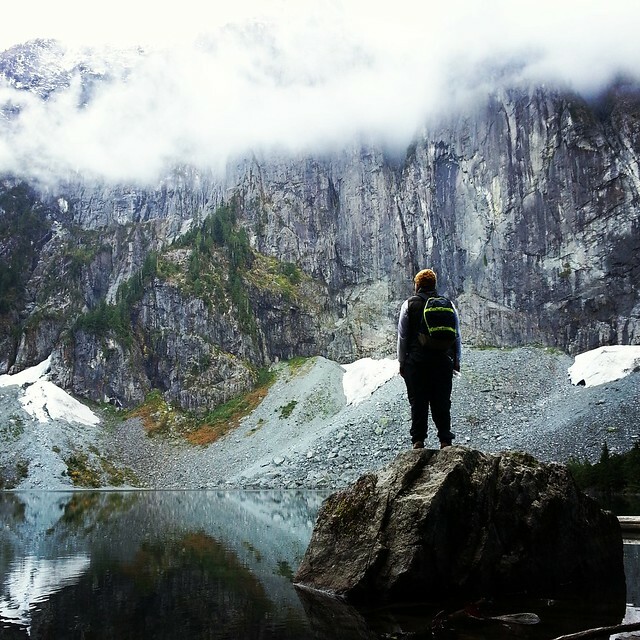 Our friend Cole visited and we hiked up to Lake Serene. It was, well...serene, one of the prettiest hikes we've been on since moving out to Seattle. Today I had one of those evenings that really emphasized why I love Summer in Seattle. I came home from work, stopped at the grocery store, went for a a run where I caught glimpses of the Olympic Mountains over the Puget Sound, had a glass of wine, made dinner and it was still daylight out! 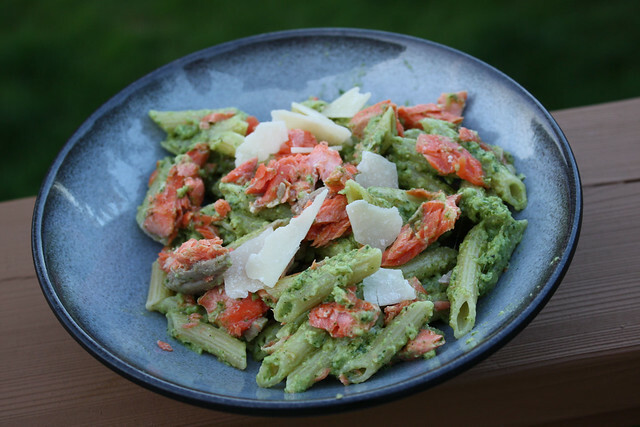 Something else to love about Summer is that it's Copper River Salmon season and thanks to the folks over at Copper River Wild I have salmon coming out of my ears these days. 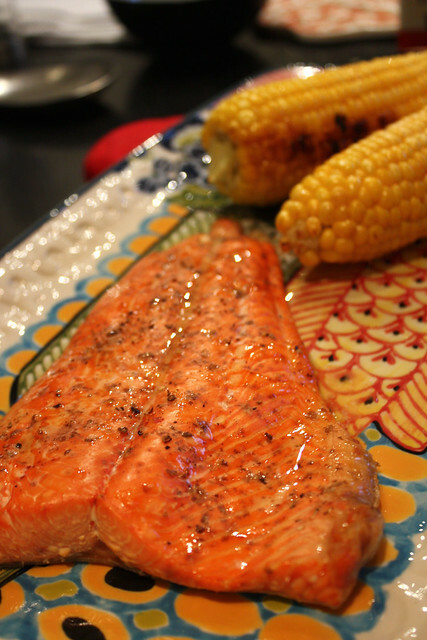 And you know how we love salmon at our house! We also love pasta, especially this Hazelnut Pesto Pasta. Not only was it absolutely delicious, but you can't beat how pretty and colorful it is! Remember when I told you how Copper River Salmon gets the red carpet treatment when it arrives here in Seattle? Well, the folks over at Copper River Salmon were nice enough to send me some Sockeye Salmon. And since copper river salmon tastes like butter, I was pretty darn excited! 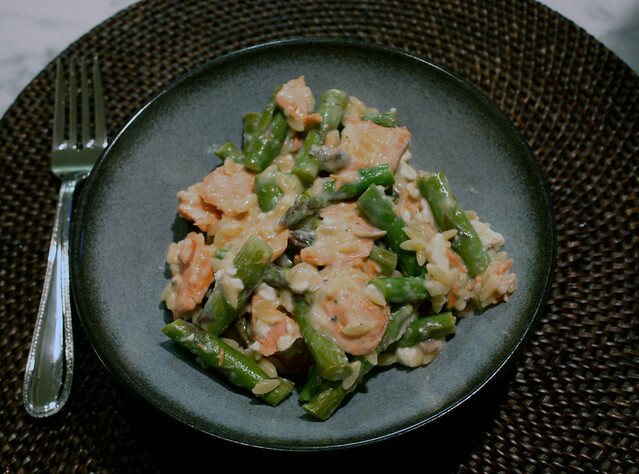 This salmon is so delicious on it's own, so I knew I would be doing something pretty simple. 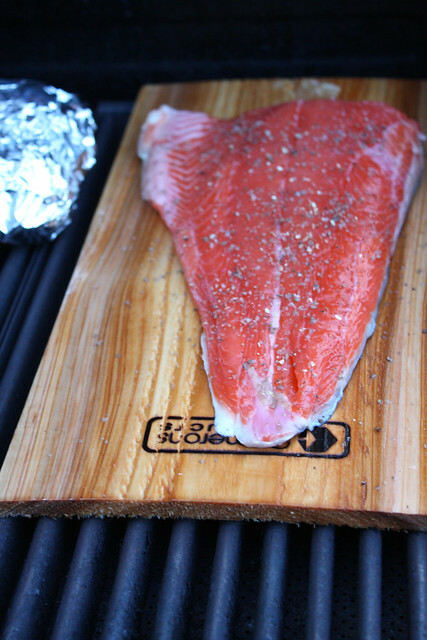 I decided to cedar plank the salmon on the grill, and drizzle it with some cayenne lime butter. We've had a ton of visitors since we've moved to Seattle, and cedar planking salmon is a go to dish to show them a taste of Seattle on their visit. 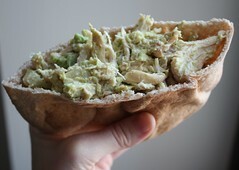 The Cayenne Lime Butter was an added twist, and one I'll be using again. On salmon, on veggies, on steak, and guzzling straight up. Spring is here, which means Asparagus is running rampant at the farmers market! And the salmon...we just eat a whole lot of that around here. Combine both of those with orzo and a light creamy sauce and we're in business! The creamy sauce added the deliciousness that creamy sauce always does, but was also light enough to be refreshing for spring. In an effort to reduce carbs, I had a pretty high ratio of fish and veggies to pasta. Mr. KMW gave this a 10 out of 10 and is looking forward to this spring pasta being added to our dinner rotation! To be honest with you guys, I am really busy so I'm going with a bookmark to blog post today. What am I so busy with? Filling out my March Madness brackets! As I've mentioned before (& here), I am a huge college basketball fan and this is my favorite time of year. I'm a die hard Kansas Jayhawks fan, and just because I'm now a Washington resident doesn't mean that I am on the Gonzaga bandwagon. I'm staying with my roots on this one. Time to move onto the food, I'm sure you here to talk about that and not college basketball. 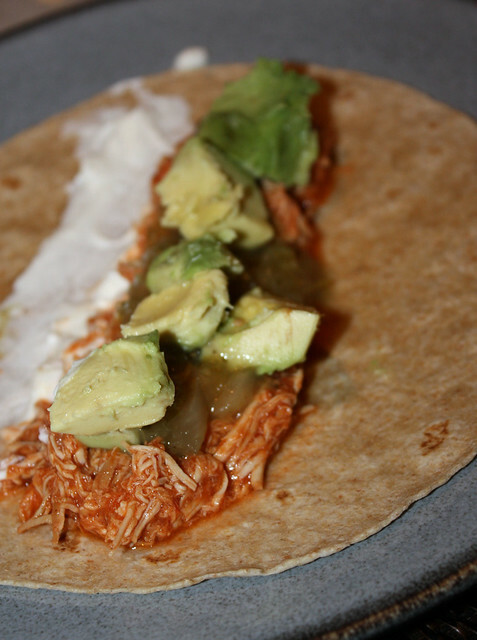 I found this recipe over at MyRecipes and it was a hit in our apartment. 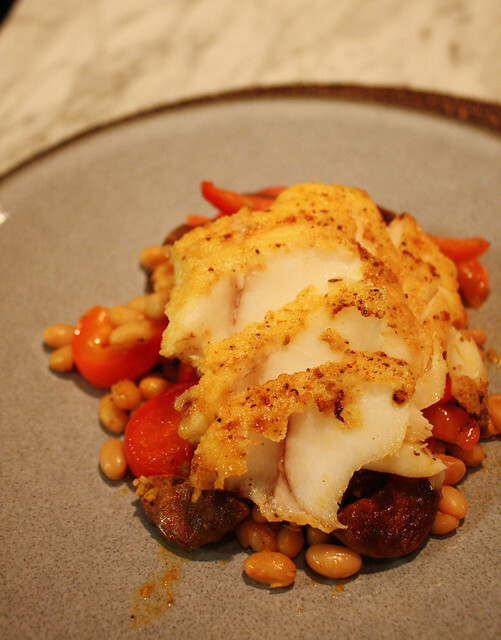 It was easy to make, a nice presentation and had excellent flavors. 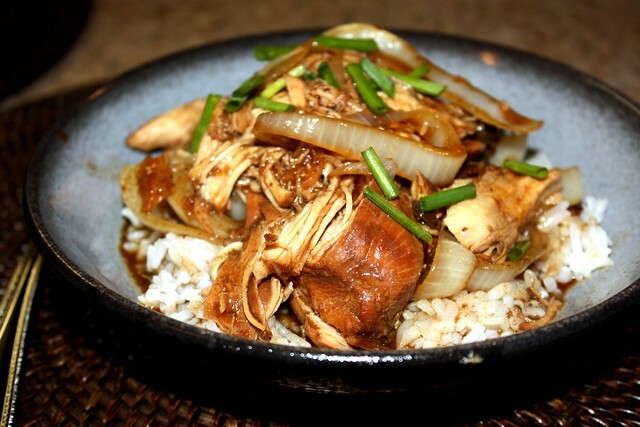 Another recipe that would be prefect for guests. The only adaption I made was that I used Spanish Chorizo and sliced it up, instead of using ground Mexican Chorizo with casings removed.